Hey guys, so I was wondering if you guys could give me some things I need to work on when it comes to the imagines because I want to make it good so all of you could enjoy it. So please consider commenting if maybe I should post more, maybe some ideas for imagines Idk lol, thanks! ALSO THANK YOU SOO FREAKING MUCH FOR 15K!!! Shawn snaps his fingers and I glare at him. "Haha, are you good there?" Shawn asks. "Oh uh yeah, so um where were we? Haha I&apos;m sorry, kinda zoned out there." 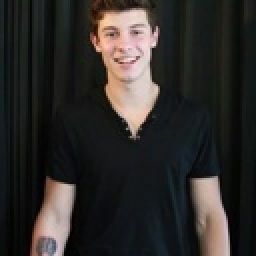 Shawn laughs and says "you really remind me of Y/N. The way you laugh, smile, and honestly look. Oh and am I that boring that you&apos;d zone out?" Shawn laughs. "Im sorry to cut you off there, but I know this is crazy, but is it possible for me to come over and if you have any- see any pictures of you when you were younger?" Shawn asks. "Um- sure- well I mean- um yeah hah sure." I say nervous but kinda happily. We leave and get into our own cars and Shawn follows me in behind. We get to my place and I invite Shawn inside. "You can have a seat in the living room, I&apos;ll be back with the pictures." I go upstairs to the office room and grab a blue and pink photo album. I walk down and see Shawn looking at the pictures in the photo frames sitting on the shelf. "Here&apos;s the album. It should have mostly pictures of me growing up." I hand the album to Shawn as we sit down and look through it. "Aw haha the big comfy couch doll! What&apos;s her name again?" Shawn asks in enlightenment. "Hmmmm oh molly the dolly! Haha that was my favourite show!" I exclaim. We both laugh at my pictures u girl Shawn seems a picture of me and a boy in 8th grade. "Oh I&apos;m not sure who that boy is, my mom said it&apos;s a friend but I really can&apos;t remember." I sigh. "That&apos;s me." Shawn says making eye contact with me. "Are you serious?" I saw shaken. "Yeah, I have the same picture at my house in Pickering." He says. "Here I&apos;ll FaceTime my sister Aaliyah and she&apos;ll show you." Shawn grabs out his phone and face times Aaliyah. "Hey Shawn." Aaliyah says. "Hey sis, can you go to the family room and show me the picture that I think is on the top shelf of the TV stand?" Shawn asks. "Sure thing." Aaliyah flips the camera and shows us the picture. "See? It&apos;s the same one." 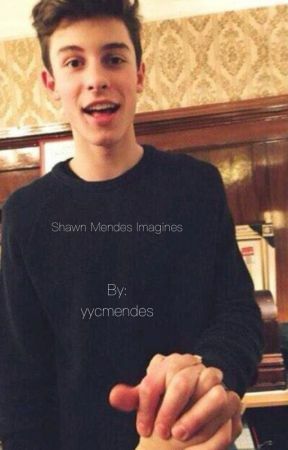 Shawn says handing me his phone. " I honestly don&apos;t know what to say." I sit back and questions go through my mind. "Alright Aaliyah, I&apos;ll see you soon. Thanks!" Shawn says and hangs up. "You&apos;re Y/N"
I sit back and sigh. I have an idea. I pick up my phone from the kitchen island and call my mom. "Mom, can you come to my place? We have a lot of taking to do." So some of you wanted a part 3 of Memories and Mistakes so here it is haha and BTW if you&apos;re unfamiliar with The Big Comfy Couch, it&apos;s a Canadian TV show for kids and growing up THAT WAS MY ONE AND ONLY FAVOURITE TV SHOW EVER ON TREEHOUSE HAHA.